Benjamin Beale had a major role in the development of Margate as a favoured watering place. He was the gentleman who perfected the bathing machine. Much is made of the fact that a print of Scarborough in 1735 shows a bathing machine, but this is in fact only a small beach hut on wheels drawn down to the edge of the water and bears no comparison with Beale's machine, which was the first fully fledged machine for taking bathers right out into the sea. 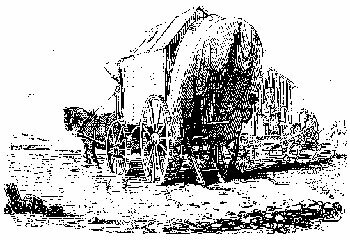 His invention, which was in use at Margate from around 1750 onwards and possibly earlier, had at its rear end a hooped and hinged canvas screen which, once the machine had been driven into position, could be let down by the driver operating a pulley so that it formed a tent on the water, thus allowing the occupant to descend the steps of the machine to bathe in complete privacy from onlookers. They were at once immensely popular and received glowing tributes in the guide books of the day-"by means of this very useful contrivance both sexes may enjoy the renovating waters of the ocean, the one without any violation of public decency, and the other safe from the gaze of idle or vulgar curiousity". The bathers of the early years entered their machines by stairs from the backs of the bathing houses situated on the West side at the bottom of the High Street. These buildings, perched precariously on timber piles on the cliff face, before the building of Marine Drive, were known as Hazardous Row due to the regular damage they suffered from storms. The machines were exported to almost every resort in Britain and were also seen as far away as the East and West Indies, everywhere in fact where the British had a presence. In a modified form they survived in use up until the First World War, after which changing fashion saw their demise. Beale himself became penniless after successive storms wrecked his machines and bathing rooms and a public subscription was organised for his benefit. He died aged 58 years in 1775 and was buried at Draper's Hospital on St.Peter' Road.